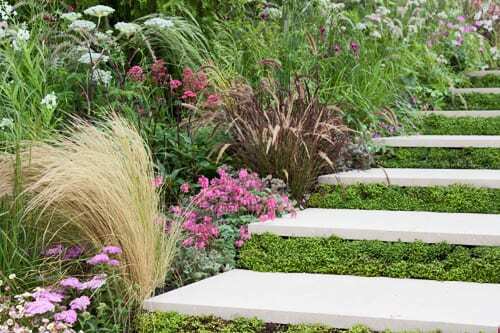 Today’s blog posts are going to feature the five garden award winners at this year’s RHS Hampton Court Palace Flower Show, starting off with the Best Show Garden. 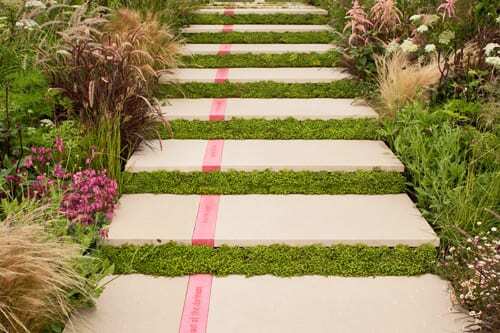 Called ‘Bridge Over Troubled Water’, it was designed by Anoushka Feiler for Astellas Pharma and was constructed by Neale Richards Garden Design. The garden features a bridge brimming full of vibrant flowers and tall trees over a large expanse of swirling whirlpools. 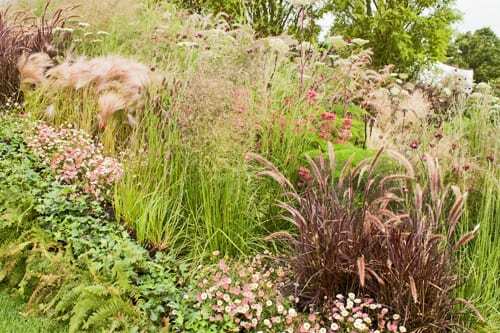 I thought the planting was absolutely beautiful and loved the different tones of pink used within the design, plus the textures of the grasses. 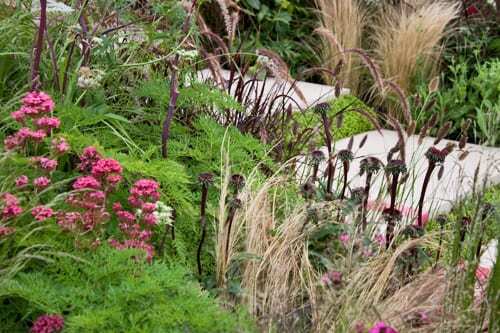 Four different types of Achillea were combined with one of my very favourite plants, Erigeron karvinskianus. Many congratulations to Anoushka. If you’d like to keep up-t0-date with her news, she’s on Twitter and Facebook, plus has a blog. Next I’ll be featuring the winner of the World of Gardens category.